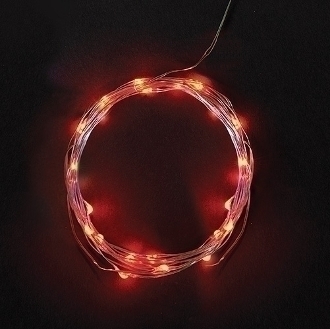 25 Red Fairy Lights (10' Long) for Miniature Fairy Gardens. String is 10' Long. Vibrant Red Color. These are versatile lights great for decorating trees, lining paths, hanging on houses as a festive decor., Lots of fun to be had with these! Battery not included.